Monty is a small mouse and Sylvester is a big bear. While this might seem like an unlikely paring for a friendship, their unique strengths and abilities combine and compliment each other perfectly. 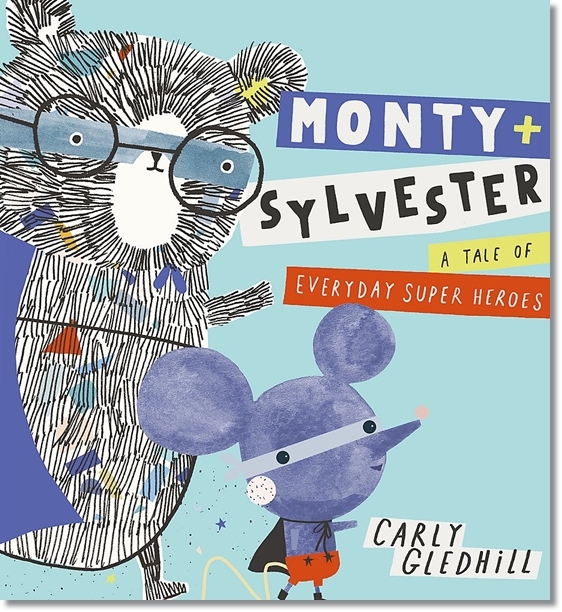 When we first meet the two, we learn that they are Super Heroes (In Training) - Monty is reading the superhero manual and Sylvester is working out. Once they have prepared themselves it's just a matter of time - waiting until somebody needs their help. When the phone finally rings, the two heroes are ready to embark on their first mission - rescuing a stubborn cat that's stuck up a tree. Unfortunately, there was nothing in the manual about rescuing cats from trees but the ever resourceful Monty has an idea and puts their 'trusty vacuum cleaner' to good use. 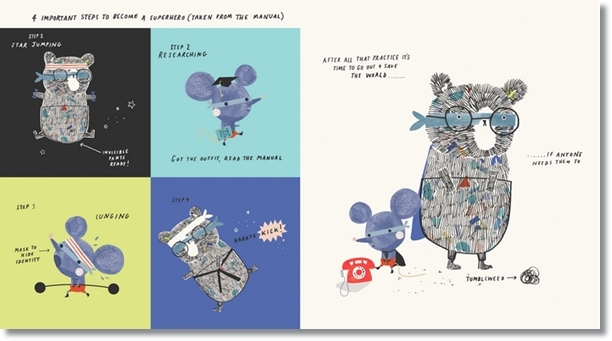 The plucky heroes quickly dispatch more villains with their super powered vacuum cleaner and it seems that nothing is too big or too small for them. Until, that is, they come face to face with a rat determined to give them a taste of their own medicine. At first it appears that the bad guy might have won, but with a bang everything turns around for a happy ending and a message about the strength and importance of friendship. 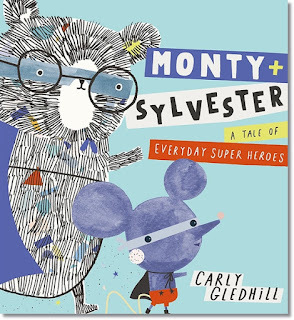 Young children love superheroes and it's good to have a picture book that can satisfy their craving without resorting to Spandex and Lycra (Sylvester's pants are invisible). The slightly chaotic style and layout of this book is almost comic book like with it's use of speech bubbles and blurbs etc. While the style doesn't necessarily lend itself to reading out loud to a class, it does make it good for children to pore over, picking out details so will have appeal to some older picture book readers.